Secure public cloud service operated by VMware, which is built on the VMware vSphere. The service supports existing vSphere workloads and third party applications as well as new application development. Combine the benefits of your existing vSphere data center with the agility of vCloud Air and you have a true Hybrid Cloud that is scalable, portable and agile enough to meet your growing business needs. The vCloud Air portfolio includes Infrastructure as a Service, Recovery as a Service and a vast catalog of supported Applications and Operating Systems. vCloud Air is offered as both subscription and pay as you go. vCloud Air Offerings vCloud Air offers three separate service offerings, each includes essential compute, storage, and networking as well as a growing portfolio of add on features. Software you trust is now expanded into an easy-to-use cloud service that makes expanding your environment into the Hybrid Cloud easier than ever. A robust, physically isolated cloud compute offering. Dedicated cloud is a single-tenant cloud compute service that is ideal for enterprise users who need the benefits of a single tenant environment in which to host high-performance, custom and packaged applications, or highly variable Development and Test workloads. Virtual Private Cloud offers a logically isolated, multi-tenant cloud compute service for utmost cloud agility. Available in either subscription or no-commitment Pay as you Go packaging, Virtual Private Cloud is a cost-effective Hybrid Cloud solution that provides considerable performance, value and expandability. 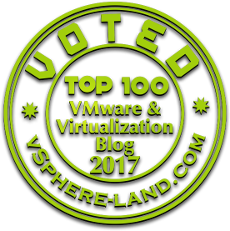 A Recovery-as-a-Service solution that offers native cloud-based disaster recovery capabilities for VMware vSphere virtual environments. Logically isolated VM-based disaster recovery that is affordable and easy to use. Disaster Recovery protects your on-premises cloud infrastructure, providing self-service recovery options that fit your needs. Get the broadest OS and application support. Go ahead, grow all you like.